When your little one is tired and exhausted, they might display the grandest temper tantrum and refuse their favorite food even though they are hungry. Oftentimes they won’t be willing to try new foods or eat anything at all because they are too overly consumed with battling their fatigue. But how do you know if picky eating is caused by their lack of sleep? Picky eating can show up as a sensory processing disorder that surfaces around 1-2 years of age. A picky eater may love certain foods one day and hate them the next. The science behind picky eating the causes of picky eating is still a little vague, but we do know that there are a few things that might influence picky eating behaviors. Eating and sleeping habits are two of the most common concerns among parents. But it might not be a coincidence that the same parents approaching their pediatrician with their picky eater have also announced their child’s lack of sleep. 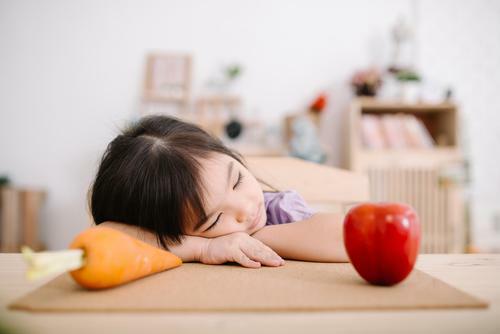 In a study by the American Academy of Pediatrics on 681 healthy children between 6 months to 3 years of age, approximately one-fourth of those parents claimed that their child(ren) had an issue with both problematic sleeping and eating behaviors (1). Needless to say, those frustrating meal times could be caused by a child’s lack of rest. If you think your child is showing signs of picky eating behaviors, take a closer look at their sleeping patterns. Offer them small but frequent meals throughout the day, and allow them at the very least a full ten hours of sleep at night. This is easier said than done! If you’re struggling with sleep, try putting your child to sleep earlier. Try moving up mealtime up by 30 minutes and if that doesn’t work try 60 minutes. Some kids need to get at 5 pm, which can be very challenging for working parents. But, remember that this won’t last forever. As your child ages, he or she will be able to push back dinner. Try these tips to get kids to eat more vegetables. You may need to reduce some habits to get kids to try new foods. 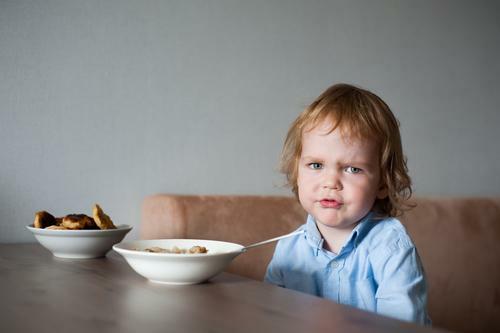 Find out if you’re making your child’s picky eating worse by reading this article. Try upping how much iron-rich foods your child is eating. Get your child’s iron levels checked at the doctor to see if he or she is low in iron. Being iron-deficient and/or anemia can cause learning, behavioral and sleep issues. Iron plays an important role in muscle function, energy creation, and brain development. As a result, a child with iron deficiency may have learning and behavioral problems. If oxygen deprivation is milder, chronic and spread over a long period time, as in anemia, a child or adult may experience symptoms such as attention disorders, loss of memory, poor judgment and reduced coordination between your brain and other body parts. If the problem becomes persistent, be sure to talk to your pediatrician. But if you notice them dozing off on the tabletop, send them to bed. You might be surprised when they come back rested and rejuvenated and ready to give those green beans another try! 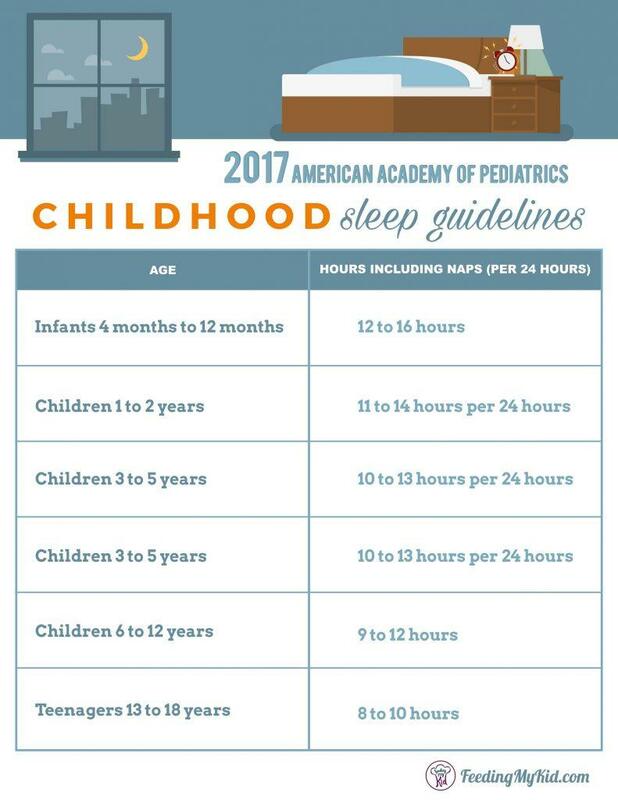 The American Associate of Pediatrics recommends children should get the following amount of hours of sleep per 24 hours a day, including naps. We’ve broken down their recommendations by age and hours. Toddlers need about 11 to 14 hours of sleep. Approximately 10 hours of this sleep comes from the night and the other 2 to 3 hours comes from a single nap. Where infants usually get 3 naps a day, toddlers will only need about one nap. Children in this age group need about 10 to 13 hours of sleep. They typically go to bed and wake up at the same time as age group 1-2, but require less nap time. This age group needs about 9 to 12 hours of sleep, though the average sleep time is 9 hours. School gets in the way of sleep time; kids usually go to bed a little after 9 pm. Kids in this age group need about 8 to 10 hours of sleep. Because of school, extracurricular, part time jobs, and friends, teenagers may not get enough sleep. 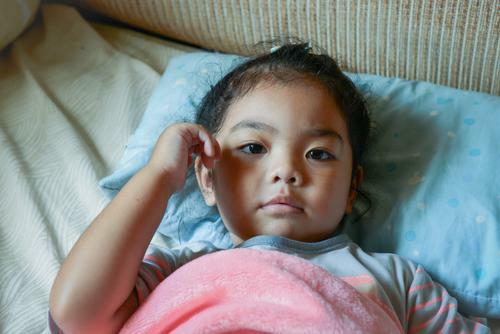 Kids and parents sleep better when children sleep in their own bed. 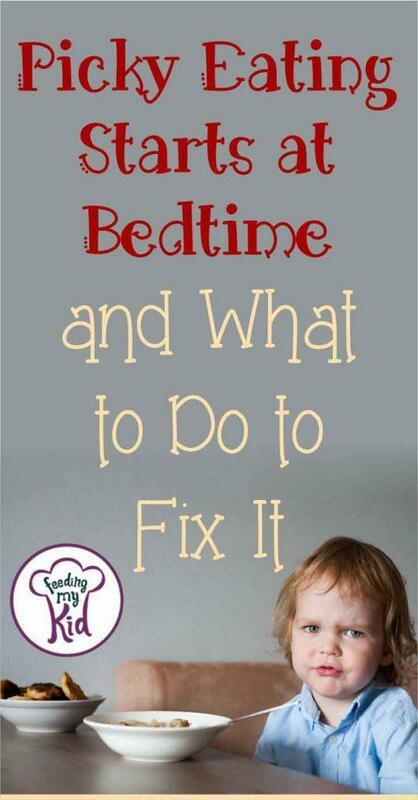 Here are some great tips to get kids to sleep in their own bed. Why is My Child a Picky Eater: The information on this website is designed for educational and/or entertainment purposes only. The information provided on is not intended to be a substitute for informed medical advice or care. Please consult a doctor with any questions or concerns regarding your child’s condition. You should not use this information to diagnose or treat any health problems or illnesses. Next articleHow To Use Your Microwave to Cook Anything! Cooking Tips and Hacks!